WWII is finally over, but Hanna's husband, Chet, didn't return home. She puts on a brave smile during the day while nursing her hospital patients, but at night, she grieves the loss of her love. Then the Christmas Comet appears for the first time in over seventy years, and Hanna's caught in a snowstorm and knocked unconscious. She wakes up in modern times, and much to her confusion, her small town has changed. A local cop takes pity on her and invites her to stay with his family over the holiday. 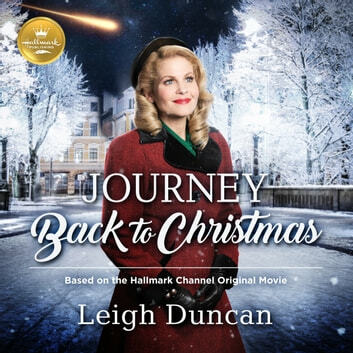 As she searches for her place in this familiar yet different town, Hanna discovers that even small acts of kindness impact lives…and that the true meaning of Christmas is timeless. Now, she hopes to find her way back to her own time…and this year's comet may lead her to a Christmas miracle. This sweet holiday story includes a free Hallmark original recipe for Gingerbread Cupcakes with Christmas Comet Cookies.